The flooring you choose makes an impact on the design of your space. With a variety of textures, styles, materials, and colors, you'll have plenty of choices to decide from. You may even prefer having a variety of flooring that goes well together such as carpeting along with hardwoods for the kitchen and bathroom areas that merge onto a beautiful maple or pine floor. 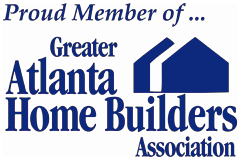 No matter your flooring choices for your Roswell, GA home or business, you'll want a Flooring Company to serve all your flooring needs. At 1st Quality Floors located in nearby Sandy Springs, our experts can help you from start to finish with full service for your flooring. Custom flooring designs can also be created with the simple application of a border or original pattern made of an alternate color designed for the room. That's what's so great about choosing our professional Roswell Flooring Company here at 1st Quality Floors, there are no limitations to what we can do! Hardwood flooring is consistently a top choice among homeowners and businesses that know a great floor when they see one. Hardwood floor options give you numerous options in stain colors and finishes that go great in your space no matter what design aesthetic you choose. Hardwoods bring a warmth and uniqueness to the space that's unsurpassed and treasured by many. At 1stQuality Floors, you'll have a lot of options in hardwoods to choose from. Let us help you with your Roswell Hardwood Flooring choices and you'll see what we mean by first quality floors! Repairing or refinishing flooring means your floor stays in tact and the materials are restored to near new condition. Whether you have hardwood, vinyl, or natural stone flooring, you'll need expert care for your floor. Roswell Floor Refinishing should be done by professionals who have the training and experience needed to repair that area with quality workmanship. Our expert floor refinishing technicians at 1st Quality Floors are available for all your floor refinishing needs. Whether your floor needs a few repairs, re-sanding, re-sealing, or you need to replace certain areas of it, we're ready to help you. Our experienced professionals will renew your floor and bring it back to its original beauty! This flooring option, cork, is one of the most durable options in flooring today. It's not only durable, it's beautiful, flexible, and luxurious. You can't get any greener or eco-friendly than a flooring choice that's easily renewable. Cork comes from the bark of trees that aren't harmed during the harvesting. The bark is renewed and the tree stays in tact with years of more growth opportunity. Yet the flooring weathers a lot of treatment, including in high traffic areas. VCT and LVT flooring are vinyl composite tiles and luxury vinyl tiles. This durable and affordable flooring is easy to clean and install. Repairs are also easier to make with this flooring choice. For a floor that needs little effort to maintain but still gives you the quality you're looking for, choose VCT or LVT flooring from 1st Quality Floors. When you upgrade your home with new laminate floors, you'll have the added advantage of having exceptionally easy to clean flooring. 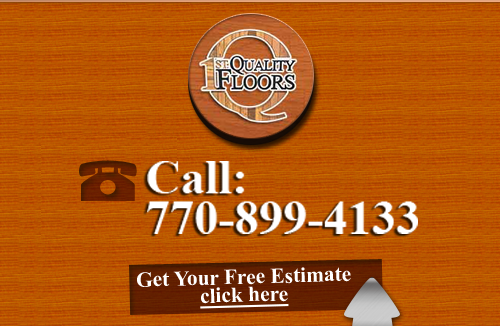 If you are looking for Roswell Flooring Company then please call 678-615-7799 or complete our online request form.